Throughout the 1,200 acre Menomonee River Valley, there are a variety of location opportunities for developing your business. Currently, there are buildable parcels from 2 to 7 acres and existing buildings for sale, as well as available lease opportunities from 900 to 90,000 square feet. The links below provide additional information about current opportunities. 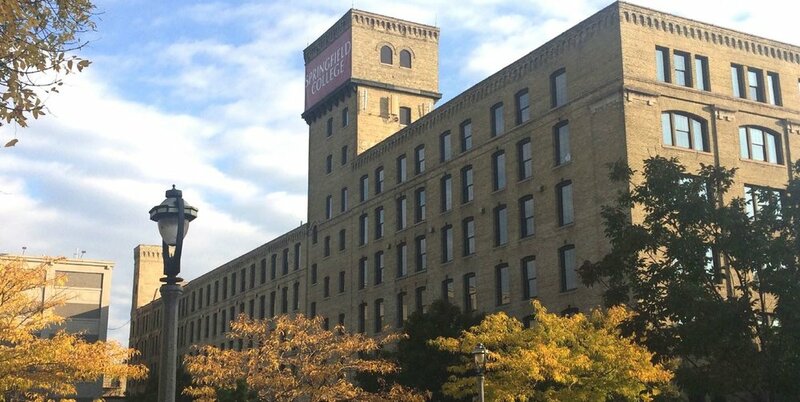 St Paul Ave, Milwaukee's emerging Design District, has historic building stock available for lease and for sale. This street has great highway visibility with 150,000 cars passing daily on I-94! Aside from contacting your bank or credit union, a number of other attractive financing options are available to help you start, grow, or expand your business. The entire Menomonee River Valley is in a designated Opportunity Zone and in a census tract for New Market Tax Credits. Twenty-two properties on W St. Paul Avenue are eligible for Historic Tax Credits. The Menomonee Valley Design Charette reveals a vision to transform more than 40 acres of land remaining in the Valley. Design concepts outline a vision for sustainable development on five vacant or underutilized riverfront sites as well as streetscaping for the St. Paul Avenue corridor. Concepts highlight potential for the next phase of Menomonee Valley revitalization, including new businesses, a Menomonee Riverwalk, and physical connections to adjacent neighborhoods. This site is in close proximity to major attractions including Miller Park, Potawatomi Hotel & Casino, Harley-Davidson Museum®, Milwaukee Intermodal/Amtrak station, and Marquette University. The site features rail access, river frontage, and is adjacent to steam power. See all renderings from the Valley Design Charette or view renderings created for this site only. Located in a designated Opportunity Zone. These historic red brick buildings, located on N 25th St between Canal St and St Paul Ave, offer historic architecture, high visibility, easy interstate access, and ample parking. Available for office, commercial, and light industrial uses. Other businesses on the 29-acre site are Zimmerman Architectural Studios, City Lights Brewing Company, and Four Seasons Skate Park. See all information produced through the Valley Design Charette or view information for only the 12 acres adjacent to this site. Located in a designated Opportunity Zone. This 1.9 acre parcel features more than 400 ft of river frontage and is mere minutes from well-known Milwaukee establishments, such as the Harley-Davidson Museum, Potawatomi Hotel & Casino, and the Twisted Fisherman. See all information produced through the Valley Design Charette or view information on this site only. Located in a designated Opportunity Zone. Approximately 10 acres of land at 260 N. 12th Street are available for future development. This site, with great frontage along the Menomonee River and adjacent to the Intermodal Station, is highly visible from I-94, I-43, and downtown. This property is served by steam and is eligible for significant discounts due to its proximity to the power plant. Steam is advantageous for a number of uses, including brewing or manufacturing. See all information produced through the Valley Design Charette or view information on this site only. Located in a designated Opportunity Zone. For lease or for sale. The building is 162,600 SF and currently has two tenants. There is up to 50,000 square feet of space remaining in a multi-story light industrial / commercial building. There is currently 20,000 SF available on the entire third floor, 10-15,000 SF on the first floor (ideal for design showroom space with exposed beams), and the remaining space on the second floor. 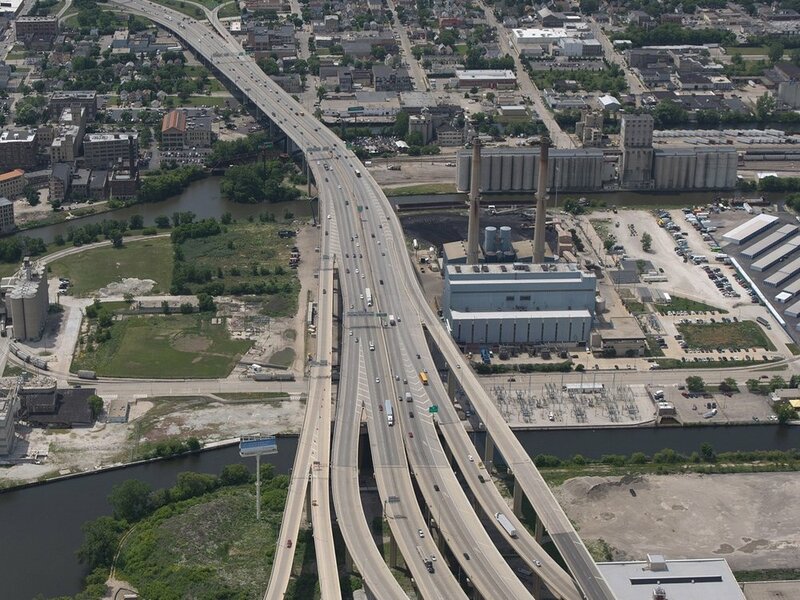 The site has excellent interstate access, poised between the Menomonee Valley and downtown Milwaukee. Ample parking is available. This property is served by steam, which is advantageous for a brewery or manufacturer. Located in a designated Opportunity Zone. This 62,000 sq ft, four-story building is built out of Cream City Brick, and contains wooden floors and beams. It is located on St Paul Ave, with convenient access to downtown Milwaukee. It also has a 2.12 acre vacant lot. Located in a designated Opportunity Zone. This former food and beverage distribution warehouse sits on 2.5 acres. The building is 34,000 sq ft and has a 6,000 sq ft insulated refrigerator space with pallet rack storage. The property is zoned heavy industrial and has excellent access to I-94. It is likely that the majority of this property could be acquired as part of the East-West expansion of I-94 in the next 5-10 years. West St. Paul Avenue, Milwaukee's emerging design & decor showroom district, has historic building stock available for lease and for sale. There is 9,553 sq ft of clean warehouse/distribution space available in the Canal Street Commerce Center. The space has 24’ clear height, one designated dock, one designated 14’ x 12’ drive-in door, 400 sq ft of office space, and ample parking. You’ll have great neighbors in this multi-tenant building: Industrial Controls, Prolitec, Milsco Manufacturing, and Stamm Technologies. This 15,000 sq ft industrial building features 5,000 sq ft of office area and 10,000 sq ft of air-conditioned warehouse space. This building has great access to and from I-94 and ample parking. Space likely to be occupied until mid-summer of 2019. Approx 7,000 SF of first floor loft-style office space available with on-site parking. This property is one block from an I-94 exit and minutes from downtown! There's the potential for signage and visibility from the Marquette Interchange. This is a mixed-use residential and urban office, educational, research, and technology zone focused on the global water industry which will house more than 1 million square feet of buildings. Reed Street Yards is an evolving eco-industrial zone. Key features include a system of urban bio-swales and rain gardens, a “purple pipe” for grey water recapture, demonstration and educational projects integrated with the Menomonee River, historic brownfield reclamation, and high expectations for green building achievement. Water Tech One is now leasing. Zurn Industries completed the first building on the campus in 2016. On the southern edge of I-94 at the Marquette Interchange this property is seen by 32,000+ vehicles daily. Located minutes from downtown Milwaukee in the popular and rapidly growing Menomonee River Valley. Great location, convenient parking. Aged refinished wood floors, cream city brick, and 10' ceilings with exposed structure are complimented with new windows, elevator, HVAC and mechanical - the historic character of this 1929 heavy Industrial building is not lost with the 2018 upgrades and renovation. There are 3,288 SF available in the basement, 3,333 on the first floor, and 3,424 on the third floor. Cream City Yards is an exciting new development on W St. Paul Ave. Spaces for lease range from 4,500 square feet to 40,000 square feet. Priority spaces are 4,500 square feet and 20,000 square feet with St. Paul Ave frontage. Ample parking and loads of potential near Third Space Brewing, which opened in September 2016. The Atlas Building in the Tannery offers office space in an excellent fifth ward location with on-site parking and immediate access to public transportation. Available amenities include a café and common conferencing center with a full kitchen, as well as multiple fiber providers and redundant electrical grids. 3,129 SF of space is ready for immediate move-in. The Trade Center Building in the Tannery offers office space in an excellent fifth ward location with on-site parking and immediate access to public transportation. Available amenities include a restaurant, deli, ATM, childcare, security & information center with multiple fiber providers and redundant electrical grids. Other properties available: The Timbers Building and The Atlas Building. The Timbers Building in the Tannery offers office space in an excellent fifth ward location with on-site parking and immediate access to public transportation. Available amenities include a café and common conferencing center with a full kitchen, as well as multiple fiber providers and redundant electrical grids. This 21,800 square foot building has 3 docks, one drive-in, clear height ranging from 9'6" to 18'2", and is less than one mile from I-43 and 1.8 miles from I-94. It is on the southern rim of the Menomonee River Valley. For lease or for sale. The building is 162,600 SF and currently has two tenants. There is up to 50,000 square feet of space remaining in a multi-story light industrial / commercial building. There is currently 20,000 SF available on the entire third floor, 10-15,000 SF on the first floor (ideal for design showroom space with exposed beams), and the remaining space on the second floor. The site has excellent interstate access, poised between the Menomonee Valley and downtown Milwaukee. Ample parking is available. This property is served by steam, which is advantageous for a brewery or manufacturer. Highly desirable Menomonee River Valley location for lease. The location includes 41,990 square feet, easy access to I-94 and I-43, and unique brick-and-beam construction with high ceilings. The property is zoned IC-Industrial Commercial and is ideal for a variety of uses, including offices, showroom, manufacturing, or distribution center. The building is located in the Marquette University neighborhood with 49,283 SF of industrial space and 4,551 SF of office space. The site has excellent access to the interstate with off-street parking for 120+ vehicles and walkable distance to public transit. With an installed sprinkler system, warehouse clear height of 12’-14’ , and multiple internal and covered loading docks, this space is immediately available and can be divided. The space also has levelers, one 7-ton crane, and nine 2-ton cranes.